In other words, Booking.com (and its parent, Priceline), expects to know everything about a guest’s reservations and stay behavior. “If you show up at the train station in Brussels, you pull up your electronic booking, you punch the map. It says here’s how you walk to your hotel, or do you want to drive or do you want to take public transit? It’s not just Huston. Expedia’s digital leaders said much the same thing recently. Many hotels are responding, as evidenced by Accor’s deputy CEO’s comments. In either case, mobile will affect your guests’ on-property experience — whether you provide that experience or not. It will be the glue that binds guests to a particular business — or to a particular booking channel. In fact, mobile now represents the “mortar” in “bricks and mortar” guest experiences. 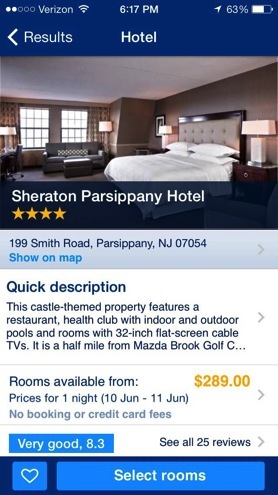 In fact, Priceline just bought buuteeq to get even deeper into the hotel experience game. Now “independent hotels” won’t have to do it. Instead, Priceline and Booking.com will be happy to do it for them. The key for you going forward is whether you’ll provide a digital and mobile experience that binds guests to you, to your hotel, to your brand. Or whether OTA’s and meta-mediaries such as Apple, Google, Facebook and others beat you to it. If you’re interested in learning even more about the future of e-commerce and marketing via the social, local, mobile web? Register to receive a special report I’ve produced in conjunction with hotel marketing firm Vizergy, “Digital Hotel Marketing in a Multiscreen World.” While it’s targeted specifically at hotel and resort marketers, the lessons apply to just about any business. You can get your free copy of the report here. Search? Metasearch? What’s the Difference?